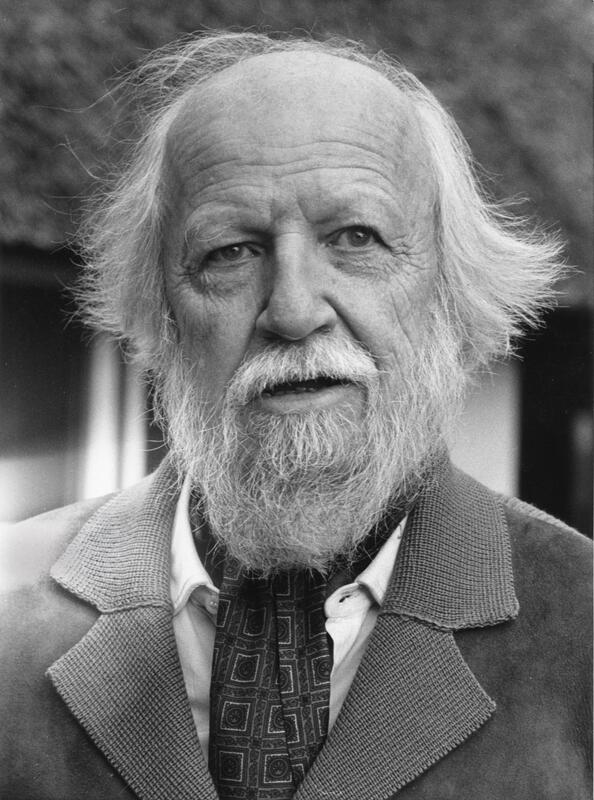 Born in Cornwall, England, William Golding started writing at the age of seven. Though he studied natural sciences at Oxford to please his parents, he also studied English and published his first book, a collection of poems, before finishing college. He served in the Royal Navy during World War II, participating in the Normandy invasion. Golding's other novels include Lord of the Flies, The Inheritors, The Free Fall, Pincher Martin, The Double Tongue, and Rites of Passage, which won the Booker Prize. Photo by See page for author [CC BY-SA 3.0 nl (http://creativecommons.org/licenses/by-sa/3.0/nl/deed.en) ], via Wikimedia Commons.